Well after much thinking and pondering and trawling through my stash I have decided that my next Paper Piecing Monday Sampler quilt is going have a bit more variety in colour, and a bit more variety in patterns. To start this new sampler off I have chosen a fabulous FREE pattern from Julie at 627handworks. 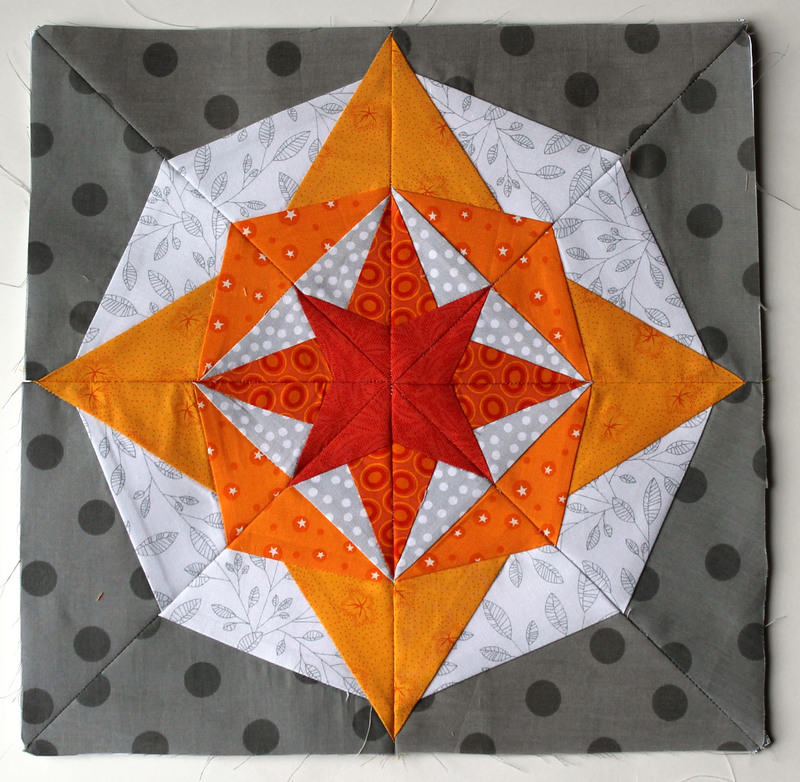 This is the first of Julie’s series Block Rock’n paper piecing patterns. It is called Bowie and can be found here. All the patterns so far have been easy to follow and lots of fun. Bowie is 56 pieces and despite a couple of mis-steps on my behalf, was quick to make. I am now off to enjoy the last of the long weekend with my hubby. The weather is miserable so a movie may be in order. Grey is such a fabulous neutral. I think I am going to enjoy using it as my base colour. Loving the gray and orange! Orange is really one of my favorite colors, especially with fabrics. Looks great! It helps that I am working with such a great pattern. Thanks for Block Rock’n. I really love all the patterns you have put up so far. Beautiful block and great colour choices! I love that leaf fabric! The block is really beautiful. Wow! 56 pieces!! 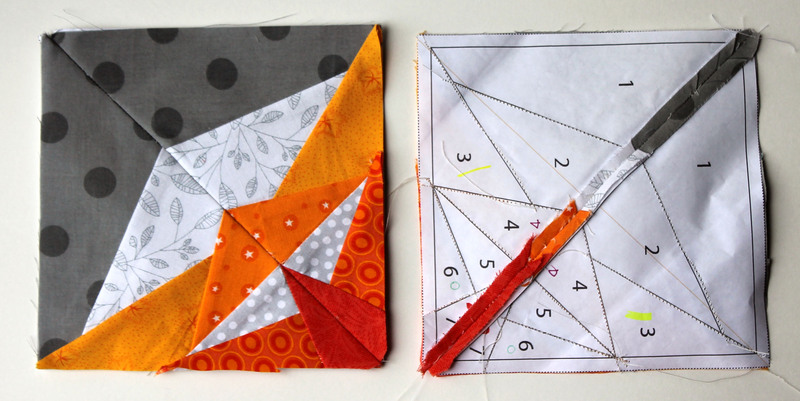 Love these paper piecing puzzles… I’ll have to try this one! And your colors are beautiful!